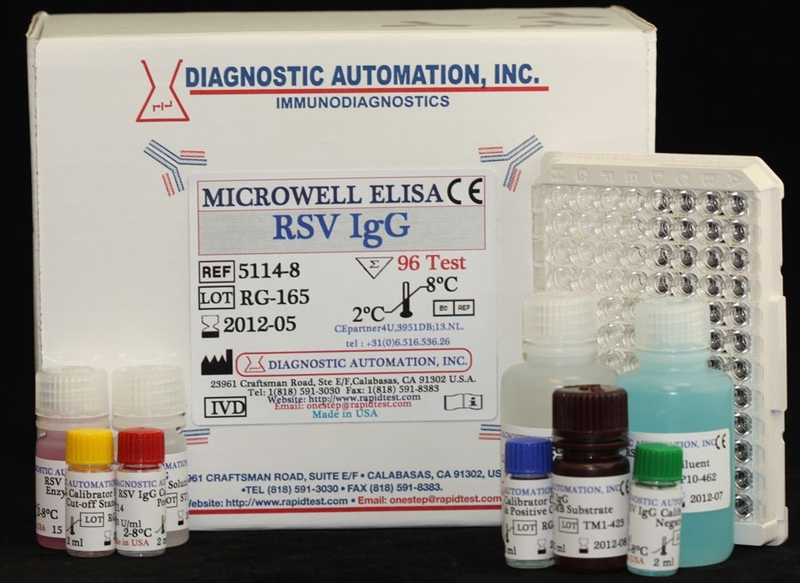 RSV IgG ELISA kit | CE-GMP | 818-591 3030-USA. 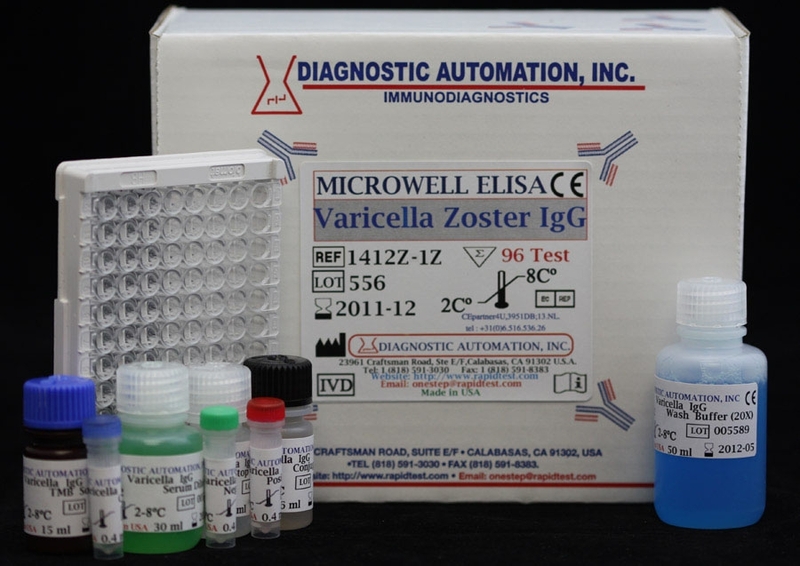 The Diagnostic Automation RSV IgG Antibody ELISA Test Kit has been designed for the detection and the quantitative determination of specific IgG antibodies against Respiratory syncytial virus in human serum and plasma. Further applications in other body fluids are possible and can be requested from the Technical Service of Diagnostic Automation. Each year during the winter months, RS viruses spread heavily amongst children and infants. There are recurring infection by RS viruses every year. Voluntary studies with adults have demonstrated that a reinfection with RS viruses is possible. The incubation time is 2 - 6 days. RS viruses are paramyxoviruses with a diameter of 90 - 140 nm. The most noticeable connection of RSV infections with respiratory infections and specific clinical syndromes was detected in infants up to 6 months of age with bronchiolitis or pneumonia. In older infants or small children the disease is milder. In 25 % of infections of the respiratory tract RSV infections are detectable. This pathogen may cause bronchiolitis or, in infants up to 4 months of age, pneumonias. The method recommended for serological testing of acute RSV infections is the determination of IgG antibodies in serum pairs with significant titer rise. 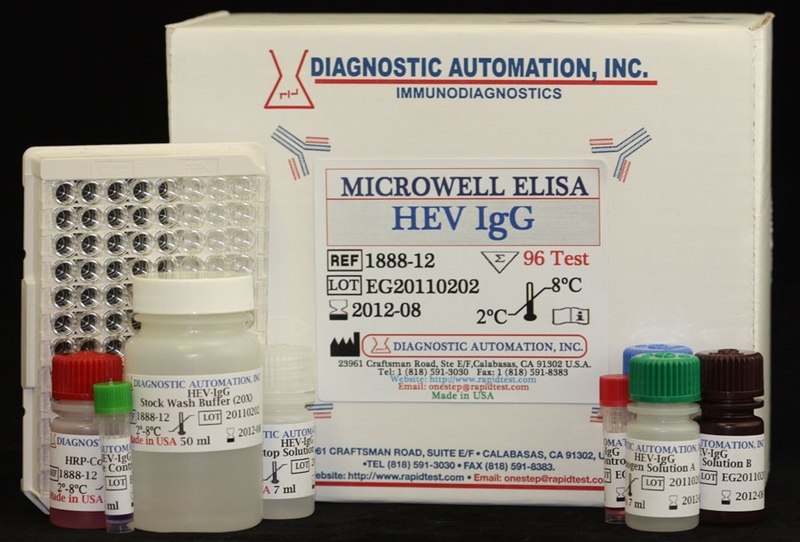 The Diagnostic Automation RSV IgG antibody test kit is based on the principle of the enzyme immunoassay (EIA). RSV antigen is bound on the surface of the microtiter strips. Diluted patient serum or ready-to-use standards are pipetted into the wells of the microtiter plate. A binding between the IgG antibodies of the serum and the immobilized RSV antigen takes place. After an incubation at room temperature, the plate is rinsed. Then ready-to-use antihuman- IgG peroxidase conjugate is added and incubated. After a further washing step, the substrate (TMB) solution is pipetted and incubated for 20 minutes, inducing the development of a blue dye in the wells. The color development is terminated by the addition of a stop solution, which changes the color from blue to yellow. The concentration of the IgG antibodies is directly proportional to the intensity of the color. 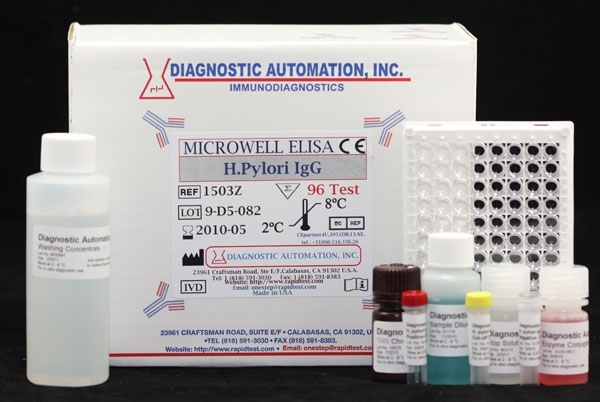 Our RSV IgG Antibody ELISA Test Kit has been designed for the the detection and the quantitative determination of specific IgG antibodies against RSV in serum and plasma.